Tat B Gone Tattoo Removal Fading System 4 Month Supply. 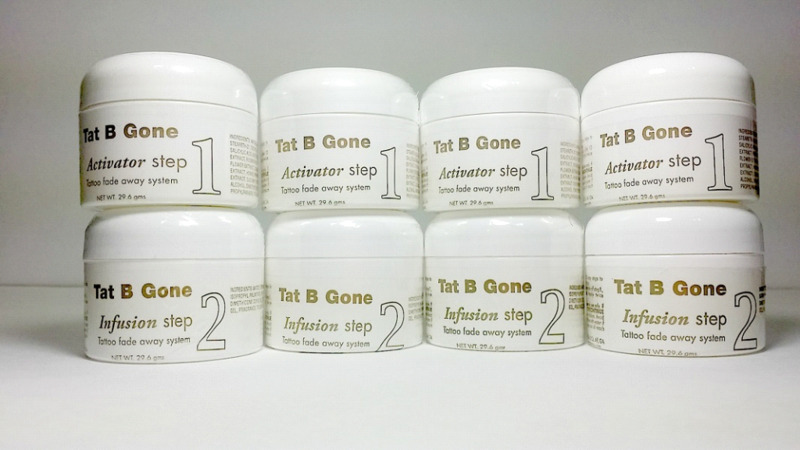 The Tat B Gone system is the simplest, most affordable and most convenient of any tattoo removal method available. Compared to other tattoo removal techniques, the revolutionary Tat B Gone system helps fade away your tattoo artwork or permanent cosmetics, easily, effectively, and comfortably. Traditional laser tattoo removal procedures typically are painful, time consuming and expensive. The cost can run into thousands of dollars and the process can take years. Surgical tattoo removal methods or sanding often leave scars and can lead to other complications. Please give us a call at (701)223-9936 or Toll Free (800)355-2956 if you have any questions.